​​​Previously Viewed DVD. 2-Disc Unrated Extended Edition. Denzel Washington and Russell Crowe team with director Ridley Scott (Gladiator) for an epic story as powerful as it is true. 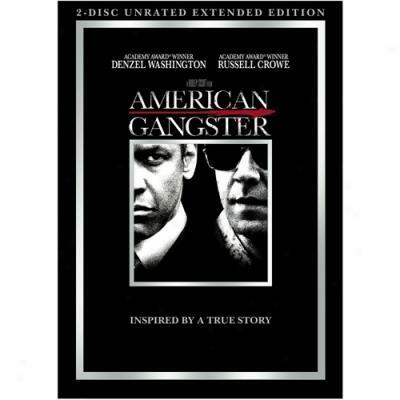 Armed with ruthless, street-wise tactics and a strict sense of honor, crime boss Frank Lucas (Washington) rules Harlem's chaotic drug underworld. When outcast cop Richie Roberts (Crowe) sets out to bring down Lucas's multi-million dollar empire, it plunges both men into a legendary confrontation.